Tonkinese cats were developed from a cross-breed of Burmese cats and Siamese cats. Playful and fun-loving, these cats require entertainment, so you’ll need to make a trip to your local pet store’s toy department to keep your Tonkinese cat happy. Left to its own devices, a Tonkinese will grow bored quickly and, more often than not, turn to making mischief. Given its hybrid origins, it took the Tonkinese a while to gain official breed status. In 2001, following more than 20 years of effort, Tonkinese breeders finally succeeded in obtaining breed status for these cats. This was achieved through selective mating practices aimed at phasing out the direct genetic influences of the line’s Burmese and Siamese ancestry. Size: Despite their medium stature, these cats are heavier than they look due to their thick musculature. Expect a fully grown, healthy adult to weigh between 10 and 14 pounds. Coat: Tonkinese breeders specify three distinct coat patterns: solid, pointed and mink. Common solid colors include champagne, blue and platinum. The pointed pattern is like that seen in Siamese cats – generally solid, with variances in shade brushed throughout the fur. The mink coat, highly desirable in show cats, is typified by a pastel-like blend of the base color with lighter and darker patches scattered throughout the body. Eyes & Ears: This breed’s eyes are lemon-shaped and typically blue or aqua in color, though some breeders favor a yellow or green pigment. Ears are wide at the base, narrowing sharply to a rounded point and set far apart, on the sides of the head. Tail: The tail should be proportional to the length of the body, tapering from medium thickness at the base to a rounded end. 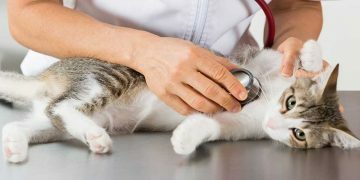 Inflammatory bowel disease in cats is a serious condition where the stomach lining is irritated and inflamed. However, if caught early, it can be easily treated. Tonkinese kittens display a love of heights from their earliest weeks and months, something also commonly seen in adult cats. Acrobatic and active, these cats enjoy games, particularly hide and seek, and are an affectionate breed that displays dog-like loyalty. 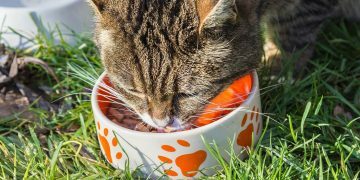 Feeding: Nourish these cats with a well-balanced diet consisting primarily of quality dry cat food. Feed them table scraps only sparingly, as they can be prone to stomach sensitivity. Grooming: Tonkinese cats need their nails clipped on a weekly basis and regular grooming with a rubber brush. Otherwise, their short coats need little attention. Activity Level: Though relatively active, Tonkinese cats are best kept indoors. Their curious and daring natures can be dangerous when they venture outdoors, but they strongly prefer being indoors anyway. Health Problems: Other than gum sensitivity and a risk of developing gingivitis, inherited from their Siamese ancestors, these cats are very healthy. 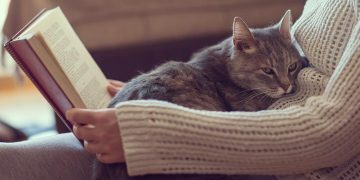 Of course, all breeds face age-related health problems, including feline distemper and feline inflammatory bowel disease. The need for regular veterinary care is stressed. Average Lifespan: Tonkinese cats live about 10 to 15 years. A good rule of thumb when seeking Tonkinese cats for sale is to trust your gut when dealing with breeders. If you don’t like the Tonkinese breeder for whatever reason, it’s quite possible for those negative traits to translate to their cats, as well. In general, you should expect to pay between about $400 and $550 for a companion-quality Tonkinese kitten of certified parentage and guaranteed health. Show-quality cats are usually available for a premium of $200 to $300 on top of the standard price. Tonkinese cat adoption is a good alternative if you want to save some money and do a good deed. You can contact your local SPCA or animal control authorities to inquire about local animal rescue services where you might find a Tonkinese to call your own.